Your pet has grown with your family and is now considered a loved one. Despite how much we love them the simple fact is that sometimes they can be unruly and damage your floors. 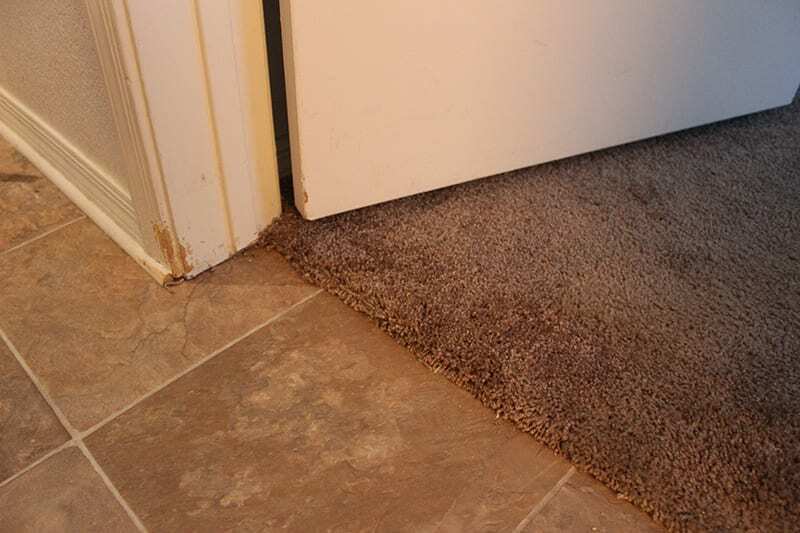 This does not require you to replace your carpet! In most cases the damage can be repaired. 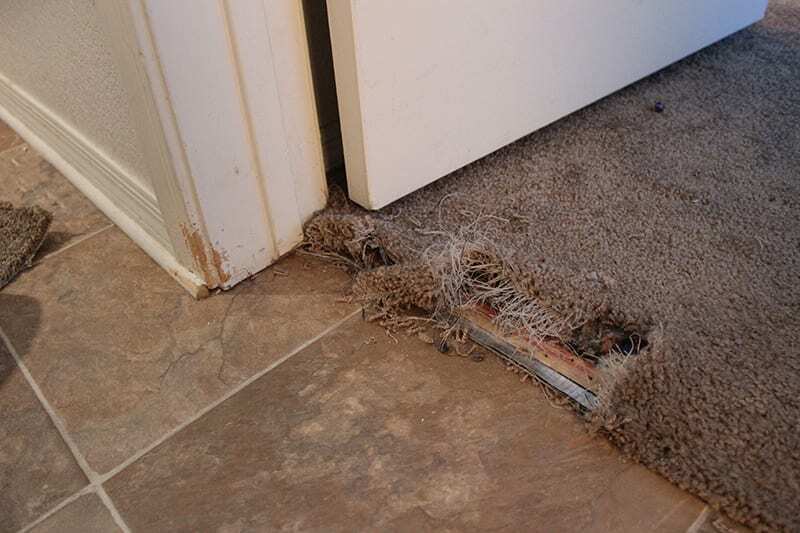 Take a look below to see some of the pet damage that we have come across in our client’s homes. We are routinely approached by home owners with concerns about the cost of repairing pet damage. We assure them that the cost is much less than replacing the whole area. Not only is it more cost effective but it is also a faster process. As with all repairs, the cost is dependent upon the amount of damage. The best course of action for this type of repair is to replace the area with another piece. This permanent replacement works best when there is spare carpet available. In many cases the previous carpet installer had remnant carpet which is usually left in the garage or attic. Our technicians have alternatives that can and will work well for you and your family if you don’t have remnant pieces.